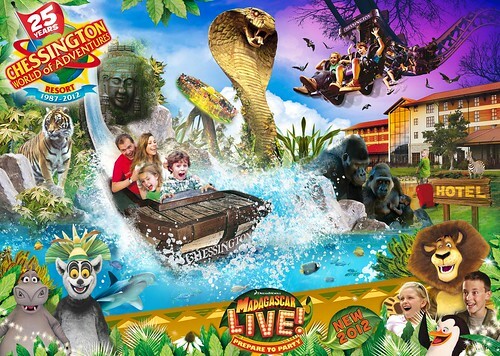 Fancy a day out at the Chessington World of Adventures resort this summer? 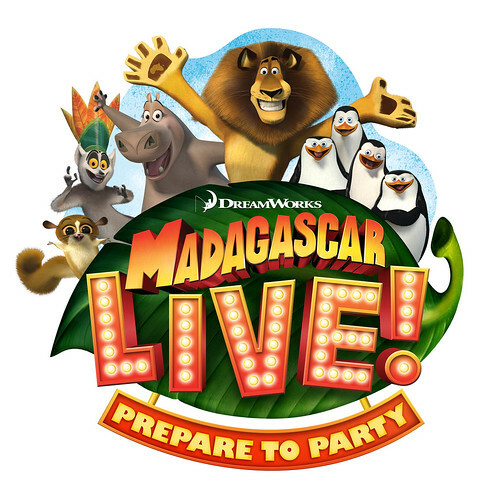 As part of their 25th anniversary celebrations and the NEW ‘Madagascar Live! Prepare to Party’ stage show, we have two sets of family of four day tickets to give away! Get ready to explore the jungle and find all your favourite characters from the film in the heart of the park in new land ‘Africa’. The only one of its kind in Europe, this show promises to be fun-filled and exciting. The Madagascar characters – Alex, King Julien, Gloria, Mort and The Penguins host a party with lively songs & dancing. Even when the party games are over, you can meet and greet the group, and take pictures with your new friends! Continue the family adventure with a spin on KOBRA in the heart of Wild Asia, brave the fiery Dragon’s Fury or discover the mystery of Tomb Blaster in Forbidden Kingdom. Take a walk on the wild side in the Zoo with tigers, lions and gorillas in the Trail of the Kings or get a soaking as Rameses gets its Revenge! Get lost beneath the waves in AZTECA, an exciting SEA LIFE centre experience featuring an undersea empire full of sharks, rays, and parrot fish. To enter the competition to win one of the sets of family tickets to Chessington World of Adventures, just get your hands on the latest copy of Holiday Villas and Cottages Magazine! The full season park is open from 23rd March – 5th November, find full opening times and directions here. Remember to check out Holiday Cottages for some wonderful places to stay in the area! This entry was posted on May 24, 2012, 3:39 pm and is filed under Advertisers, Articles, Competition, family days out, Fun, Group holidays. You can follow any responses to this entry through RSS 2.0. You can leave a response, or trackback from your own site.